Bradley is a sweet baby who delights in exploring the toy shelf. He is quick to pick out his favorite toys and grab them off the shelf. 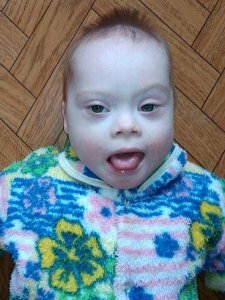 He was born with Down syndrome but no other noted medical issues. Bradley is a happy little baby who loves to be cuddled. 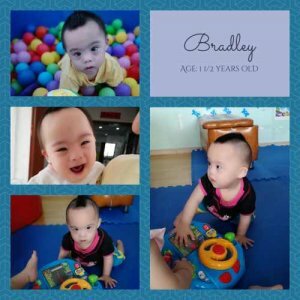 Like most babies with Down syndrome Bradley is delayed in many areas but he is making impressive progress. He is crawling and cruising on furniture. He can even walk a few steps independently. He loves to imitate sounds and is now able to say a few words. Even though he is still very young he is already understanding what his nannies are saying to him and following simple directions. Bradley is ready from some excitement and nothing is going to hold him back! Bradley is ready to meet every challenge with a smile. Will you be there to help him? Families may qualify for a $5,000 grant from his current agency. $9.50 has been donated towards the cost of my adoption! Jim is a precious little boy with the best smile! He has been hospitalized for pneumonia and a femoral fracture in the past. Jimmy’s motor development is delayed. As of October of 2018, he could not sit, crawl, or walk independently. He does like to roll over and play with his hands and feet. Jim cannot speak, but knows how to get the attention of his caregiver. He loves to cuddle and tease with his caregiver. Jim is cared for in the infant area with six other children his age. He gets up at 6:00, drinks a bottle of formula at 6:30, drinks water at 9:30, drinks another bottle of formula at 11:00, naps from 12:00-14:00, drinks water at 14:10, takes a bath at 15:00, drinks another bottle of formula at 18:30, and goes to bed at 19:30. He takes a tub bath 3 times every week in spring and autumn, twice per week in the winter, and once per day in the summer. Jimmy loves playing with baby toys and spending time outdoors in the sunshine. Jimmy really needs a family that can pour love into him and help him get the resources he needs to continue to develop. 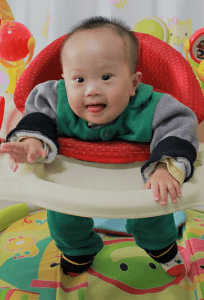 Jimmy has a $1,500 agency grant for his adoption with his current agency; other agency grants may be available based on the adoptive family’s circumstances. 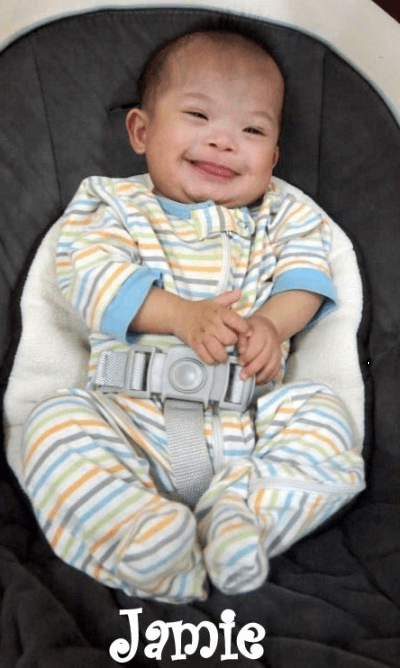 Garrett is an adorable little boy, born in November of 2016 with Down syndrome, polysyndactyly (webbed fingers/toes) – 3rd and 4th fingers on both hands and 2nd and 3rd toe on both feet, congenital cardiac malformation – open foramen ovale with preserved chamber function (the foramen ovale is already closed), and motor developmental delays. Garrett turns from his back to his belly and vice versa. When lying on his belly, he leans on his elbows. Garrett reaches for a toy he is being handed or for hanging objects. He takes two toys, one in each hand, and knocks them together. 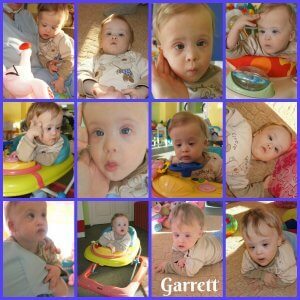 Garrett is overall a pleasant little guy and individual attention from an adult makes him so happy. He loves to smile back at adults when they are smiling at him. He cries at separation, but quickly calms down. Garrett has syllable-repetition speech. He accepts food from a bottle and is gaining weight. His sleep is calm. His file is currently with multiple agencies. 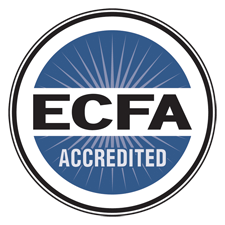 One agency is offering a $1500 agency fee reduction. Meet Jude! Isn’t he just adorable?! He is still in the baby room at his orphanage, so he doesn’t get a lot of floor time. Therefore, he is not crawling yet. However, he can roll over. Also, when he is on his tummy, he can hold his head and chest up. Jude enjoys playing with his hands and sucking his fingers. He also likes playing with toys…which also go straight into his mouth. He enjoys being held by his nannies and is particularly attached to a specific one. 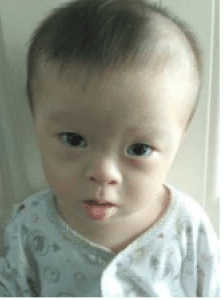 Caregivers describe Jude as a lively and lovely boy who is full of giggles. They say that he has very expressive eyes. With his eyes, Jude can show happiness, distress, fear and anger. 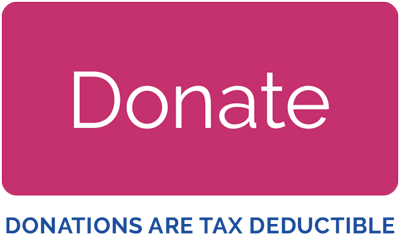 $25.00 has been donated towards the cost of my adoption! Meet Jamie! This bundle of adorableness recently turned 1 year old! He has been in care since he was a few months old. 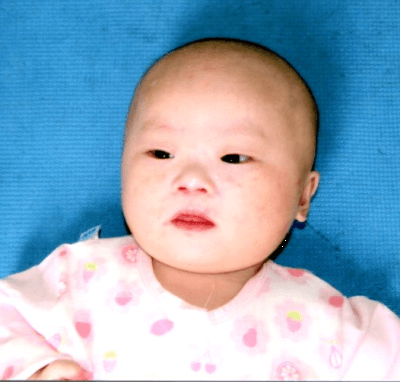 Found to have Down syndrome, they also discovered a heart condition (ASD/VSD) which has been corrected. Jamie now spends his days gaining weight. winning the hearts of all the nannies, and catching up on his motor skills. There is a $2,000 agency grant to be used toward his agency adoption fees for a qualified family! Jamie is waiting for you! $543.15 has been donated towards the cost of my adoption! Davi is an adorable baby boy, born in August of 2017, who is described his caretakers as quiet and lovely. 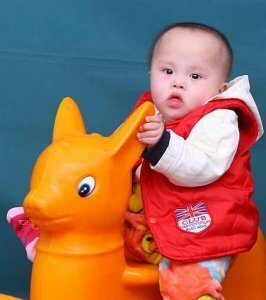 Davi was born with down syndrome and congenital heart disease- VSD and ASD. He was weak as an infant because of the CHD, but received surgery to repair the ASD and VSD in March. A lot of improvement was seen after surgery. Davi has good physical development and flexible limbs. He can grasp and hold toys, raise and control his head, turn over freely, and sit with support. Davi is a smiley little guy who likes music and is curious about his toys. He can stretch out his hands to reach for toys ahead of him when he is sitting supported. He will also raise both of his hands to grab the toy hanging above him when he is lying on his back. Davi is good at tracking objects and people and can hear well. He will turn his head to the source of sound and when his name is called. Davi interacts well with familiar people. In fact, he loves spending time interacting with his caretaker more than anything else and will smile happily when teased. Who will be the lucky family to bring this sweetheart home while he’s still so young? 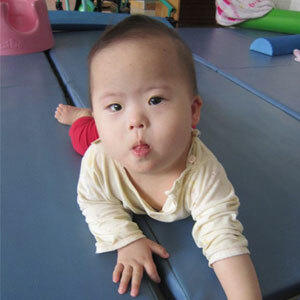 There is a $1,500 agency grant for Davi’s adoption with his current adoption agency. $1,242.90 has been donated towards the cost of my adoption! 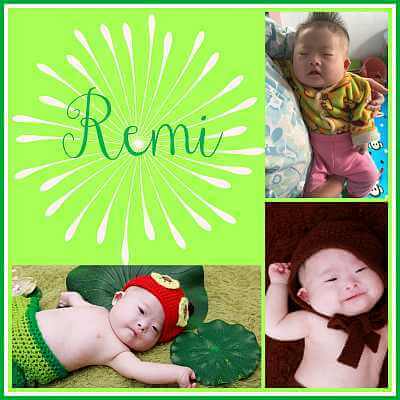 Remi is the cutest little guy, born in June of 2017 with down syndrome and a congenital heart defect- PFO. At the time his file was prepared, he had motor delays. He slept a lot and was said to be very mild-mannered. He loves colorful toys and being held by his caretaker. His caretaker loves how precious he looks when he falls asleep in her arms. Remi could be home before his 2nd birthday and we pray he is! His foster mother will do some PT for him each day. He can move around on the mattress by himself. He will crawl to you if you shake the rattle to attract him. He will try hard to reach it. He can roll over well. He can hold a bottle to feed himself; he eats well. He can grab things well. He can take off his socks quickly. Mental: He has down syndrome so his mental ability is behind normal kids. He likes music and will dance when he hears music. There’s a $2000 grant available for Maya’s adoption with her current agency. $90.00 has been donated towards the cost of my adoption! York is a joyful baby who loves to be tickled! He eats and sleeps well, and knows his name and turns when he is called. 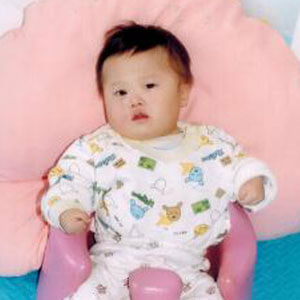 He is diagnosed with Down syndrome, as well as exotropia, and his development is delayed. At four months old, York could track moving objects and turn to familiar people. Within a couple months he grew much stronger, though he didn’t like to practice sitting up! He could be held up, and was able to kick his legs and pat with his hands. By nine months he could sit stably on his own, and since turning one year old he can now roll over and crawl. He is able to grasp nearby toys, and is especially interested when he sees a new toy! In November 2017, he joined a foster family in order to get more attentive care, but York truly needs a permanent family to ensure he gets the care he needs! York’s current agency has a $4000 grant, available to families who qualify, to assist with the cost of this adoption. $1,538.95 has been donated towards the cost of my adoption! Dino enjoys cuddling and sometimes acts spoiled, but is obedient and gets along well with the other children. He is an active and restless little toddler, with a big smile and long eyelashes. He likes to sit in his stroller out in the sunshine, and will lift up his legs to peel off his socks! Dino has Down syndrome and has been diagnosed with a congenital heart defect (PDA), but has not received any surgery for it. 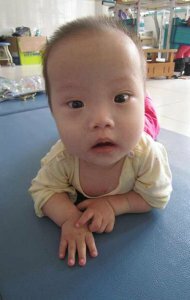 After just 3 months following his admission into the orphanage, he still couldn’t raise his head due to low muscle strength in his neck. He began receiving rehabilitation and early intervention training to increase the strength of his muscles. Three to six months after beginning the training, he was able to raise his head, turn over without help, sit alone for about 1 minute, and grab on to large objects with both hands. When he turned one year old he drew lots and chose the pen right away, so his foster mother believes he will be a writer! Shortly after his first birthday he could make ‘yiyiyaya’ sounds and recognize his name when called. He is waiting for a home to call his own and for a family to love him unconditionally. Dino has a $4000 grant, available to families who qualify, to assist with the cost of this adoption. $81.00 has been donated towards the cost of my adoption! Knox is an adorable little boy! He was placed in a foster family in June of 2016 and he seems to get along well with all members of the family, but is very attached to his foster mom. Knox feeds himself and sits independently. At the time Knox’s file was prepared, he could follow simple instructions and could sit, crawl, and stand independently. He claps his hands when he sees his friends coming and likes to wave goodbye too. He vocalizes and says a few simple words, such as mom and dad. Knox is described by his caretakers as active, chubby, and adaptable. He smiles when praised, likes to be held, enjoys listening to stories, and likes to ask for hugs from people who are familiar to him. We can’t wait to see this little guy continue to grow in a forever family of his own! 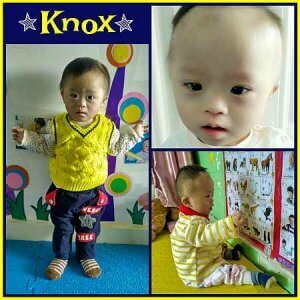 There is a $1,500 agency grant for Knox’s adoption with his current agency. $604.50 has been donated towards the cost of my adoption! It’s not every day we see babies this young made available for adoption! Luca is blessed to have a file and it is our hope that his family will see him soon so he can get home while he’s still quite young. Precious Luca loves his bottle of milk, napping, and being held by his caregivers. Luca can track objects or toys and loves to lay on his bed and kick his feet. Like most babies, he also enjoys sucking on his fingers. 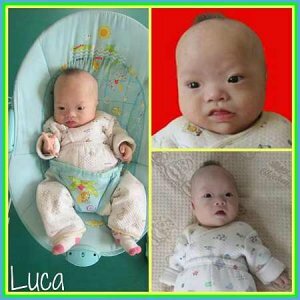 There is a $1,500 agency grant for Luca’s adoption with his current adoption agency. Luca needs a family with an approved home study to be able to hold his file or move forward with adopting him. Hugo = HAPPINESS! This precious little pumpkin! By age one, Hugo was rolling over and sitting up with some support, but not yet crawling. If he wanted a toy, he would roll and roll until he got to it. When someone he likes interacts with him, Hugo makes happy “yiyiyaya” sounds. He loves music and waves his hands along to the rhythm. 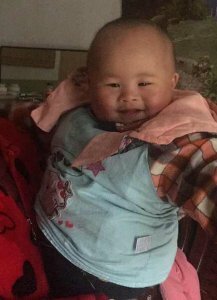 Since May of 2017, he has been living with a foster family on the orphanage grounds. 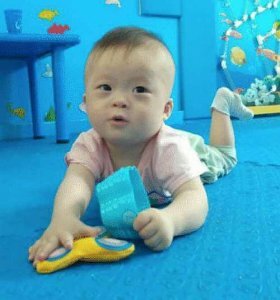 Hugo’s caretakers say he is shy and that he likes playing with toys with sounds, interacting with adults, and outdoor activities with adults and the other children in the activity room. He is very close to his foster mom. Hugo is newly listed with Madison Adoption Associates and is from an orphanage we formerly partnered with. He is getting terrific care while he waits for his forever family to come forward and get to him! There is a $1,500 agency grant for Hugo’s adoption with his current agency. Hugo needs a family with an approved home study to be able to hold his file or move forward with adopting him. $1,470.30 has been donated towards the cost of my adoption! 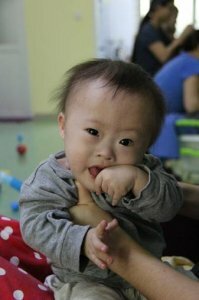 Reece was born with down syndrome and communicating hydrocephalus. Reece is quite the cutie! Those cheeks! Those lips! This little heart-melter can turn over, crawl, hold his feet to play, and reach his hands to grab toys out of reach. Reece can track moving people or rolling toys and responds if his name is called. He can make sounds. Reece is described as positive, active, smart, and happy. He likes playing with toys. 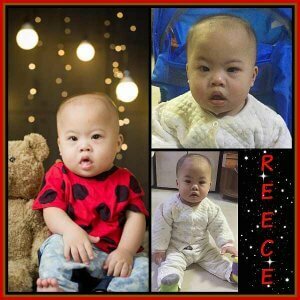 There is a $1,500 agency grant for Reece’s adoption with his current agency. $214.00 has been donated towards the cost of my adoption! 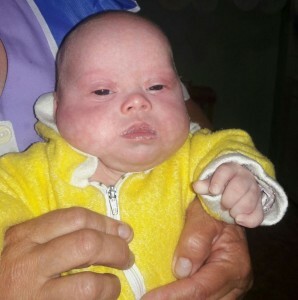 Mario is quiet, content little boy who loves to be picked up and hugged. 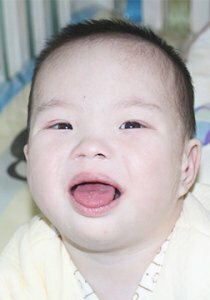 Mario was born with Down syndrome, and hypospadias. He is slower in his development than his peers, but is getting stronger and more engaged every day. He can roll-over, and eagerly grab and manipulate toys. Mario needs a family can provide him with unconditional love and support him with services to help to him reach his potential. Are you ready for Mario’s hugs? Families qualify for a $7,500 subsidy with his current agency. $116.00 has been donated towards the cost of my adoption! 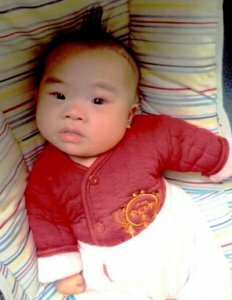 Joaquin is a cutie pie who was born with down syndrome and a congenital heart defect- an ASD that appears to have closed on its own. Joaquin is said to always have a smile on his face ad laughs out loud when teased. Joaquin loves when his caregivers lovingly touch him or hold him. He carefully concentrates on his caretaker’s face and expressions when she works with him on exercises. At 9 months of age, he was making sounds to respond to his caretakers and could roll over and crawl across a room. Joaquin was good at grabbing for toys and holding onto them. He also was able to recognize his name and could track sound. He reads his caregiver’s facial expressions well and responds appropriately. Joaquin has stranger anxiety that is typical for a child his age and is close with his special caregiver. He loves to hold her hand and smiles at her when she smiles at him or when she compliments him. When the weather is nice, Joaquin enjoys outdoor time. He has a good appetite and is a good sleeper too. 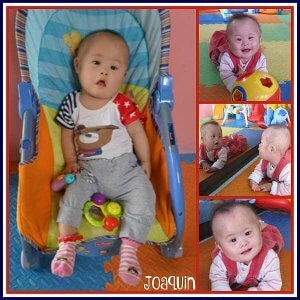 Joaquin is quiet and obedient and likes to play with his favorite toys or play games with other children, led by his caretakers. We hope this handsome little fella finds a family who can get him home while he is still so young! There is a $1,500 agency grant for Joaquin’s adoption with his current adoption agency. $295.50 has been donated towards the cost of my adoption! Sweet and lovely! Otto has a shirt on in his new photos that say those very words and they seem to be completely accurate! That adorable round head, those precious chubby cheeks, and those beautiful eyes- who can resist this cutie pie? Otto’s caregivers say that he likes to make faces, like sticking out his tongue and making pouty faces at them. Otto loves music and will respond differently when listening to it; sometimes he will be very calm and sometimes he will wave his hands and feet and make happy faces. Otto was pretty well on target developmentally his first year of life- able to raise his head when lying on his stomach, roll over, make cute sounds, visually follow a moving object, and turn in the direction of sounds. His favorite toys are colorful ones that make sound and he is able to reach out and grasp a nearby toy. His caregivers report that he has a good appetite. 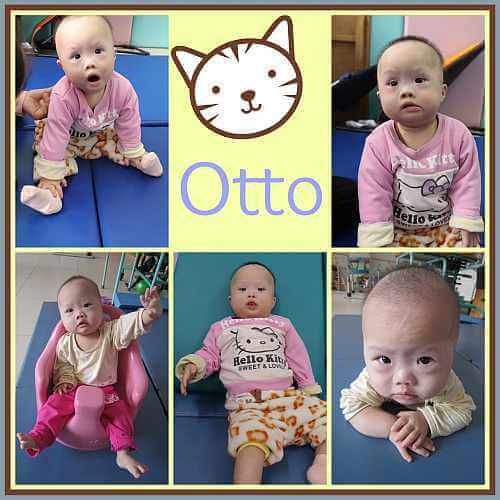 Otto was born with down syndrome and his placing agency has received new pictures and a nice long video. We can’t wait to see what lucky family will be blessed to call Otto their son! 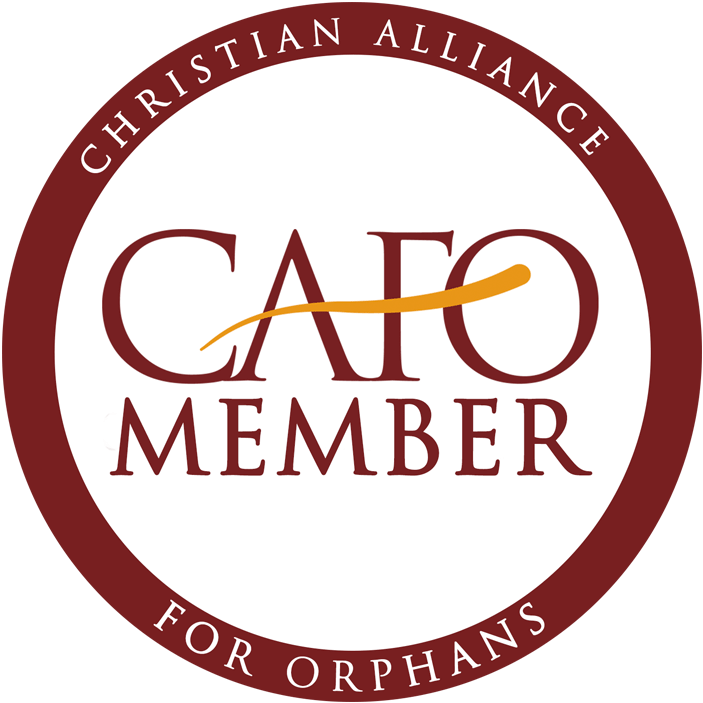 There is a $5,000 grant for Otto’s adoption with his current agency. $91.00 has been donated towards the cost of my adoption! Jimmy came into care when he was less than two weeks old. 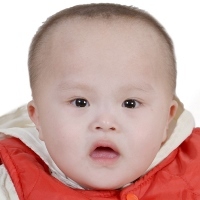 He has Down syndrome, but no other medical concerns are noted in his file. In June 2017 Jimmy could sit with support, roll himself over, and crawl on his tummy to reach a toy. He likes to play with people and he likes hugs. He cries and laughs easily. Jimmy is an active little guy who especially enjoys toys that make sounds or glow. Shane Yu is only 17 months old and is the sweetest little guy! We met him when he was only 5 months old, and he was already a champion cuddler! But, my goodness, has he ever grown up since then. Shane is described as a shy, quiet baby who prefers to be held by his foster mom. He lives in a foster home with 5 foster siblings. He sits independently and crawls. He likes to play with toys and can feed himself finger foods. He makes happy noises and vocalizes, but isn’t saying words yet. Shane has a $4,000 grant through his current agency. Sixteen month old Colt is a curious toddler who loves music! Whenever he hears it, he follows the music to shake and dance. Life of the party! His developmental report was completed in June when he was 13 months old. At that time, Colt could raise his head when lying on his stomach, turn over by himself, and grasp his feet to play. He loved to tease people. He will stick is tongue out, make faces and laugh. When he’s excited he says things like, “Ah ba da!” He babbles in response to people. When he goes outside, he is very curious about his surroundings. He engages people with eye contact, and he can nod his head for “yes.” He is strong-willed, and if he doesn’t like what you’re doing, he lets you know! Colt is closest to his caretaker. He enjoys colorful toys that make sounds. Colt was diagnosed with Down Syndrome, and he has had surgery to correct an atrial septal defect. Drew is an active and lovely child. He enjoys that the nanny amuses him; he giggles when happy. He has a ready smile; he is very lovely when he waves his arms and stamps his feet in joy. $1,141.78 has been donated towards the cost of my adoption! Isn’t Caleb precious?! He’s a quiet one and it shows. He’s affectionate and loves being cuddled. Fantastic eye contact and connection with his ayis. He needs a mama so much! $154.20 has been donated towards the cost of my adoption! Haidyn is only 1 year old and is an incredibly adorable little boy. Just look at that little grin! Melt.my.heart into a puddle on the floor. Haidyn has Down Syndrome and an extra digit on his right hand. Hayden recognizes his name when it is called and rolls over independently. He holds toys in his hands and plays with them. He is a smiley little fellow and like his bouncy seat. This little guy needs a family! Could he be your son? Haidyn’s current agency has a $4000 grant available towards his adoption fees. Can you think of any good reason this baby should wait for a family? Neither can I.
Nate is a gorgeous and active 14 month-old baby boy who likes being held by his caretaker. Nate likes bright colors and listening to music. He enjoys playing with the music rattle toy attached to his crib. 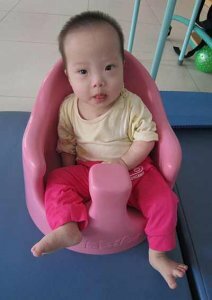 He is attached to his caregiver and is very happy when he sees his caregiver coming, especially if she is holding a bottle of milk or toys. He will reach out his hands to ask for them and his face is full of happiness. He reacts to sounds around him and if he’s upset, he’ll calm down once held. When the weather is nice, Nate spends time outside to get some fresh air, play in the grass, and look at flowers. He is always happy to be outside and to watch other kids play. Nate bathes daily in the summer and three times a week in the winter. He loves being in the water and will kick the water with his feet, while holding onto the sides or onto a caregiver with his arms. Nate’s file was prepared in January. At that time, he could turn over with a bit of help, hold up his head while laying on his stomach, and grab toys or other people’s hands. He was making babbling sounds. We hope that Nate will be able to come home while he’s still so young! 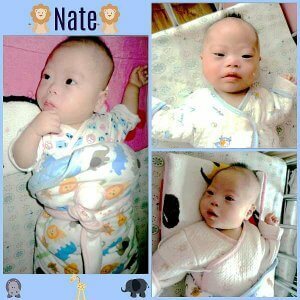 Nate’s current adoption agency is offering a $5,000 grant towards his adoption. $18.00 has been donated towards the cost of my adoption! 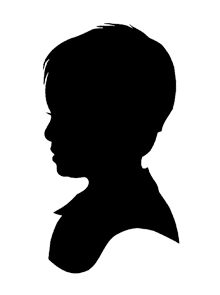 Samuel is described as a bright and pleasant boy. He enjoys being held by his caretakers. He enjoys playing with toys. Samuel can crawl and sit without help. He will respond by turning his head when he hears his name, and he can understand simple instructions. His current agency has additional information and videos available. 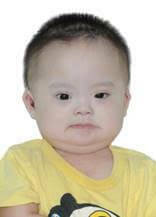 Derek is a 1 year old baby boy with spiky black hair and round cheeks. He’s described as being friendly and shows a lot of interest in other children and nannies. He is able to crawl. Kenyon came into care when he was about two months old. 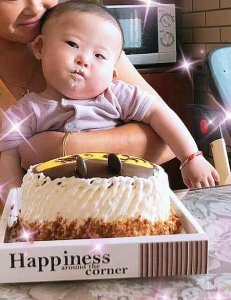 He has Down Syndrome, malnutrition and Thalassemia. He has not yet needed blood transfusions to treat his thalassemia. A heart murmur was detected, but a heart ultrasound came back normal. Kenyon’s development is delayed. He can hold his head up when lying on his stomach and follows his caregivers with his eyes as they move across the room. He can grasp toys in his hands to play. Kenyon is a quiet baby boy who is waiting for a loving family. What a chunky bundle of love!! New pic Feb 2018! Darling! $2,000.00 has been donated towards the cost of my adoption!